Founded in 1868, the Florida Harbor Pilots Association is comprised of 11 member associations that serve each of Florida’s 14 deepwater ports. The Florida Harbor Pilots Association is designed to promote goodwill, provide leadership, coordinate all efforts and represent our members at the state level. 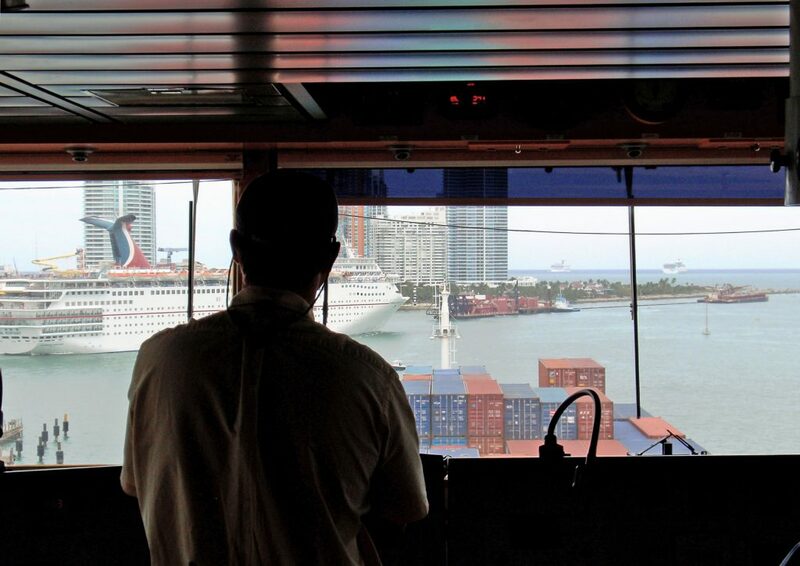 Florida’s harbor pilots are the watchdogs for the numerous cruise and cargo ships coming in and out of our state’s ports, 24 hours a day, 7 days a week, 365 days a year. Without harbor pilots, the lives and safety of the people of Florida and the protection of the state’s ports and coastal environment would be at risk. Currently, our association has nearly 100 state-regulated and licensed harbor pilots that have been taking navigational control of foreign flagged cargo and cruise ships and directing their movement in and out of Florida’s ports for decades. It is our duty to act in the public’s best interest and maintain independent judgment from any outside influences that may jeopardize maritime safety. All of Florida’s harbor pilots are independent contractors, belonging to a member association within our state’s pilotage region, and are responsible for maintaining and operating one or more offices and pilots stations, pilot boats, dispatch system, electronic equipment and administrative services. The risks harbor pilots face are unlike those faced by any other mariner. Harbor pilots are transferred from pilot boats at sea onto and off of extremely large moving vessels, often during poor weather conditions and rough seas. Once the pilot boat maneuvers alongside the ship, a harbor pilot boards the ship by stepping or leaping onto a rope ladder hanging from the ship’s side. 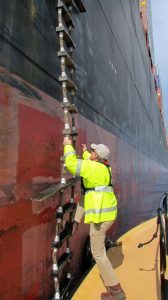 The harbor pilot climbs the ladder, up to 30 feet high, to the top of the main deck and proceeds to the bridge. It is important to note that harbor pilots are frequently injured and sometimes killed in the course of this dangerous transfer. Once onboard, it is the harbor pilot’s job to familiarize him or herself with the ship’s navigational equipment, performance characteristics and mechanical conditions, and then direct the movement of the ship, often while dealing with a foreign crew that speaks limited to no English. In the course of piloting the vessels, it is important that harbor pilots remain vigilant, as the slightest misjudgment or lapse of concentration can lead to disaster. The magnitude of the risks involved are very high – loss of life and massive environmental and property damage. In the event of such an accident, harbor pilots not only face the loss of their license, but the end of their career, personal financial ruin with massive uninsurable liabilities and possible imprisonment. State-regulated and licensed harbor pilots understand the importance of navigating the state’s channels and ensuring all foreign flagged cargo and cruise ships are brought in and out of Florida’s 14 deepwater ports safely. Harbor pilots are experts on the intricate details and local conditions of the waterways and channels that surround Florida’s ports and serve as the watchdogs for the numerous cruise and cargo ships coming in and out of these ports, 24 hours a day, 7 days a week, 365 days a year. With the continuous flow of cruise and cargo ships, harbor pilots are the first line of defense against security threats to Florida’s ports, serving to keep our homeland safe and secure. Additionally, harbor pilots work closely with the U.S. Coast Guard and local port authorities to ensure safe transit of all vessels.